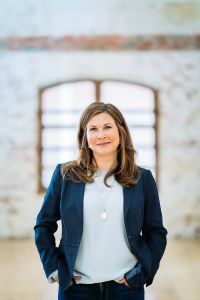 German-native Tina Wendel always wanted to be an entrepreneur. 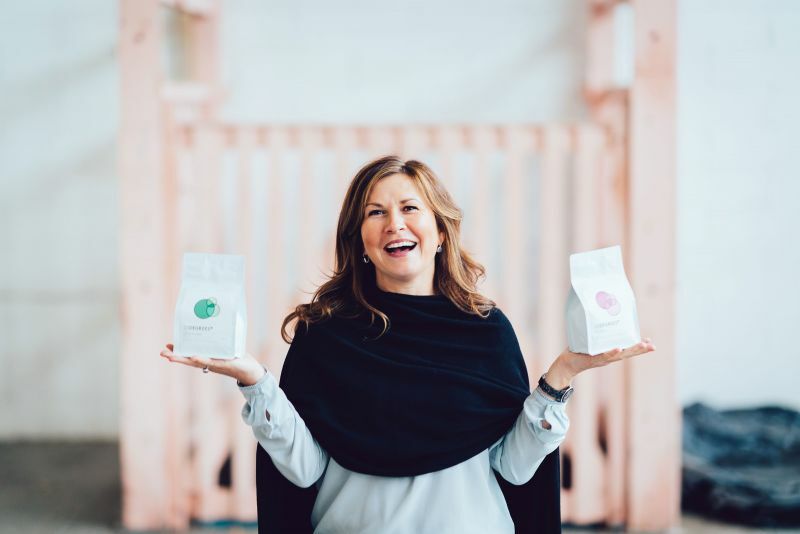 After completing her Masters of Finance at the University of Melbourne in 2007, the Management Consultant and part-time university lecturer decided to take the plunge and start an ethical coffee company with one of Melbourne’s most eminent coffee roasters. I grew up in East Germany. I was in the middle of an internship, when the Berlin Wall came down. After unification Lufthansa took over that company, so I was flown to Berlin and brought onto the site. After my internship, I started my studies in business economics administration. One of my professors was a management consultant for Lufthansa, and he suggested I look at management consultancy. Maybe it was because of my upbringing in Eastern Germany - I grabbed every opportunity which came. I wanted to travel, I wanted to explore the world. KPMG offered me a job and a two-year secondment in Melbourne. After that I went back to Munich, worked another two years there, before moving back to Australia. I was working for IBMs management consulting arm, where I was tasked to be the leader for an acquisition in the Asia Pacific of $US1.8 billion. I started off studying at the University of Melbourne part time, while I was still working at IBM. I was still doing the merger, flying to Atlanta and Tokyo. In the evenings, I would come to the University to attend lectures. I would come home from lectures, sleep until 4am, do two hours of study and then go to work. It was probably the toughest working effort of my life. But for the last half a year of my course I studied full time, and this was the part I enjoyed most because I had time to meet other students. My course enabled me to have a much more succinct value proposition. As a Management Consultant, it allowed me to suggest certain investments to certain companies; but it also enabled me to work for a private equity company which had amazing avenues which weren’t available to me before. I always wanted to do something entrepreneurial. I appreciate the greatness and breadth of all the beautiful coffee roasters here, and thought, is there anything new I could do in coffee? As well as making a social impact, I wanted to make speciality coffee more accessible: more inclusive; rather than exclusive. A lot of people don’t understand speciality coffee; they think oh my gosh it’s too cool for me to go into a café. I wanted to make specialty coffee more approachable. I started my coffee roasting company 23 Degrees with my roastress Anne Cooper at the end of 2016. 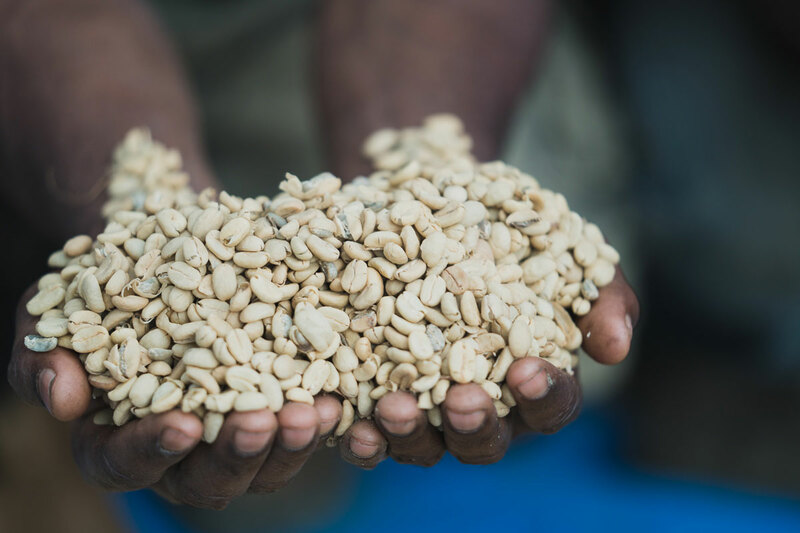 With the fragmentation of the supply chain in coffee, you can create a positive impact by connecting the dots and using your sourcing strategy… In terms of how you manage waste, and how you make a social and environmental impact. This is what I set out to do with 23 degrees. We have a strategy which is called from seed to sip to soil – where we make you aware of where your coffee is coming from, as there is so much exploitation in the coffee industry. The name comes from the coffee growing belt around the Earth, which is 23 degrees north and 23 degrees south of the equator. We recently brought out a women grower’s range, to support female coffee farmers. By encouraging women to produce beans for specialty coffee, they can earn above market prices and their farms are more sustainable. 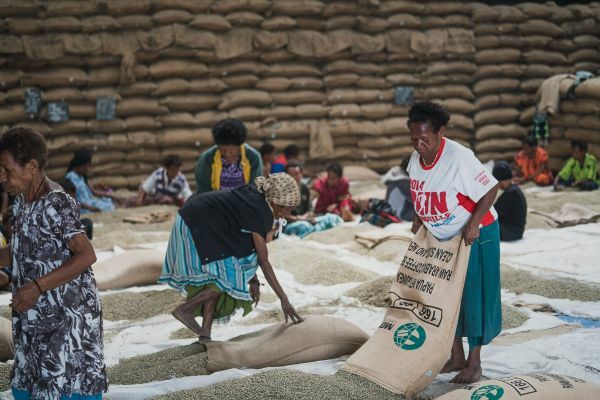 We want the women to get better prices for their coffee, and as a flow-on effect, have a better standing in their community and improve their lives. We have a few high-end retail spaces, like Leo’s and Boccaccio, where our coffee is distributed to. But we are focused more on the corporate market because our whole strategy and concept, is that we want to reinforce the social and environmental impact, and we have found the corporates are more receptive to this than cafes. We say to the companies, if you have 100 or 200 staff, and each of them drinks two coffees a day - imagine what impact you can make on the waste side, but as well what impact you can do at origin as well. We also offer a recycling service – so there’s a dedicated bin for your coffee grounds that will be picked up and brought to worm farms for community gardens. Starting up a business is challenging. I’m used to working in a big team with a big consulting budget, where you can spec and plan everything to detail, but you never actually see all the consequences through. My analytical approach has helped me a lot, but then sometimes you to have to make quick decisions, and even the littlest detail you must manage – like designing your new labels for your new coffee. It’s very hands-on. I have found it quite rewarding, because you step out of just the high-level part. You get to see things through. It has been a massive learning process but we are proud of what we have achieved. Find out more about 23 Degrees Coffee. As told to Victoria George, University of Melbourne.